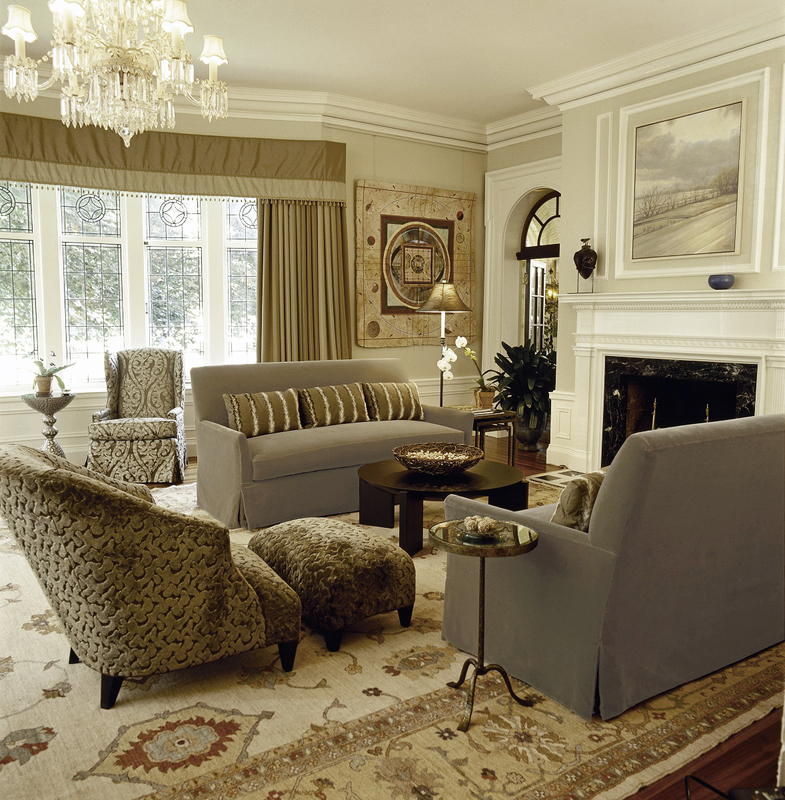 This landmark home in one of Rochester’s preservation districts, offered an opportunity to create an interior in the largest and grandest room of the house. Beautiful architectural details, a baby grand piano and an original crystal chandelier were starting points for the design. 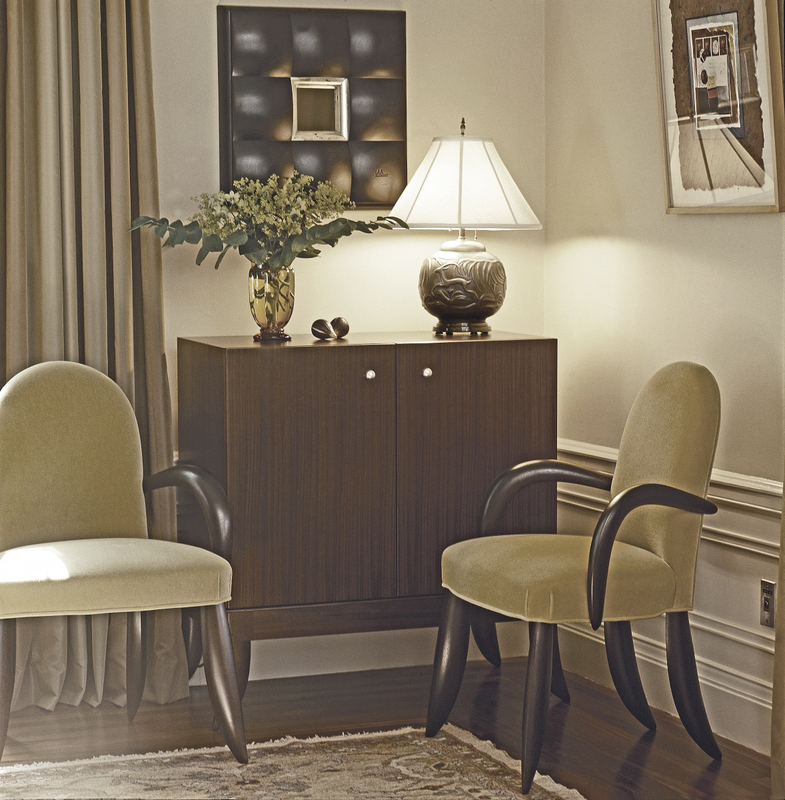 I wanted the room to be formal but not in the traditional sense of the word, but to create a contemporary version that was both inviting and comfortable. 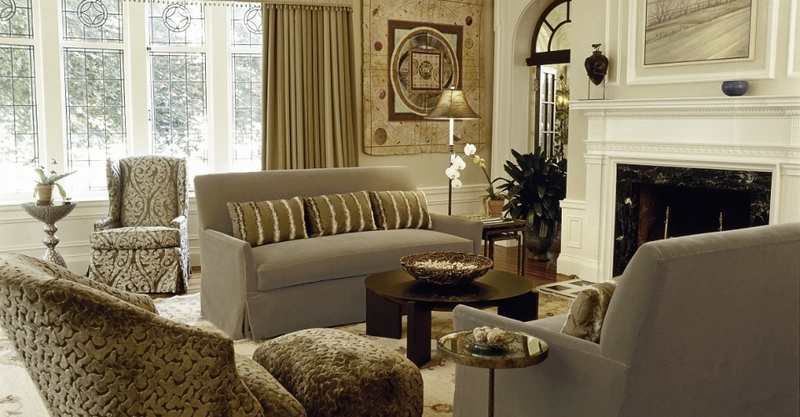 Upholstery pieces have a clean, modern aesthetic covered with luxurious silk, mohair and cut velvet fabrics. Accent pieces are from the Wendell Castle collection and all the art was hand selected from the studios of our regions top artists. 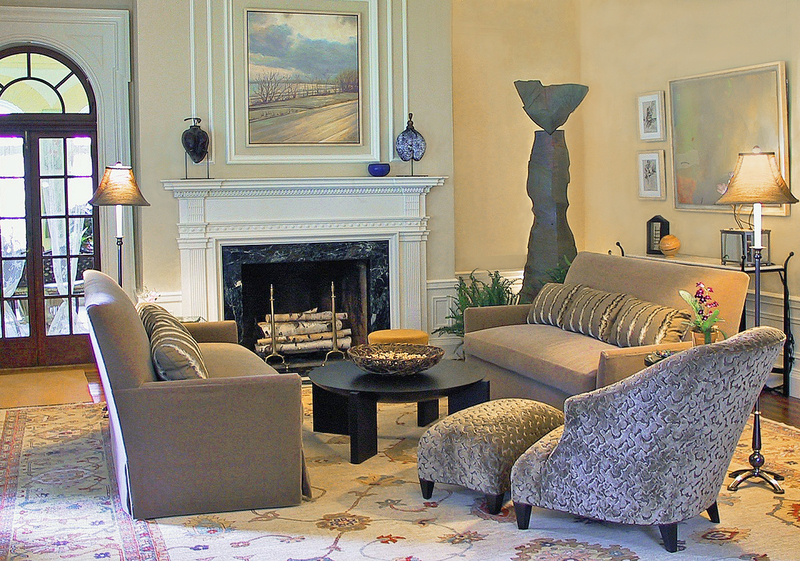 A site specific painting was commissioned to fit into the panel molding above the fireplace. 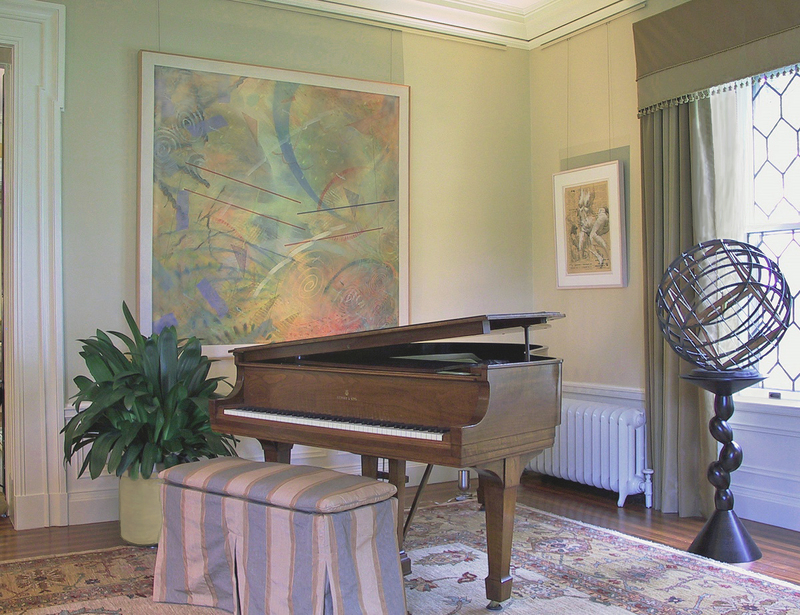 The custom designed drapery has just enough detail to be in harmony with the architecture of the room yet the clean lines and neutral palette form a sumptuous backdrop and enhance the acoustics of the piano concerts.